The analysis of plates and shells under static and dynamic loads is of greatinterest to scientists and engineers both from the theoretical and the practical viewpoint. The Boun- dary Element Method (BEM) has some distinct advantages over domain techniques such as the Finite Difference Method (FDM) and the Finite Element Method (FEM) for a wide class of structuralanalysis problems. 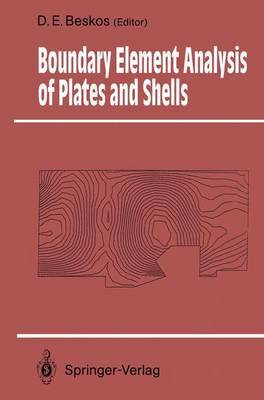 This is the first book to deal specifically with the analysis of plates and shells by the BEM and to cover all aspects of their behaviour, and combi- nes tutorial and state-of-the-art articles on the BEM as ap- plied to plates and shells. It aims to inform scientists and engineers about the use and the advantages of this techni- que, the most recent developments in the field and the per- tinent literature for further study.